Golding is a recipient of the Oram Award 2017 (New BBC Radiophonic Workshop/PRS Foundation) for women innovating in sound and creative technologies. In 2018/19 Golding is currently undertaking a period of Arts Council England funded creative research and development. Golding is part of SHAPE 2019 - a platform for innovative music and audiovisual art from Europe. 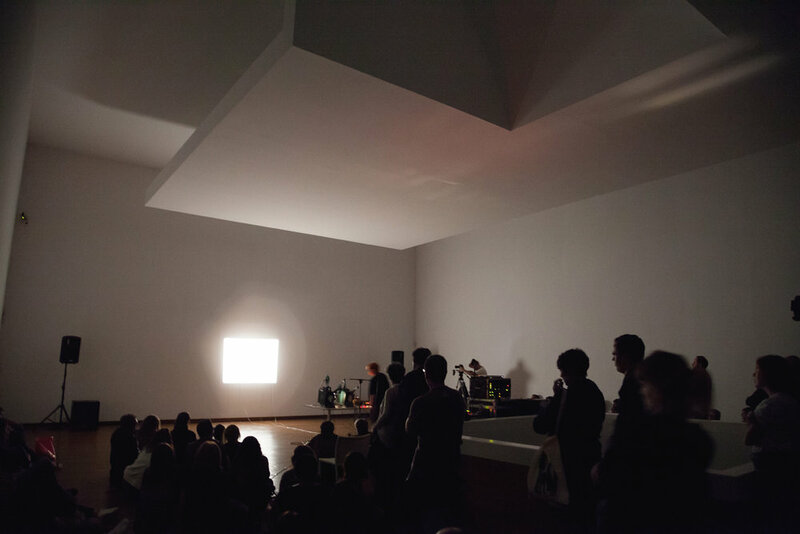 Sally Golding’s (UK/AU) audiovisual performances engage with the politics of seeing and listening – edgy and intense in nature, they unravel in the style of a ‘happening’ to incorporate aspects of the performance space. 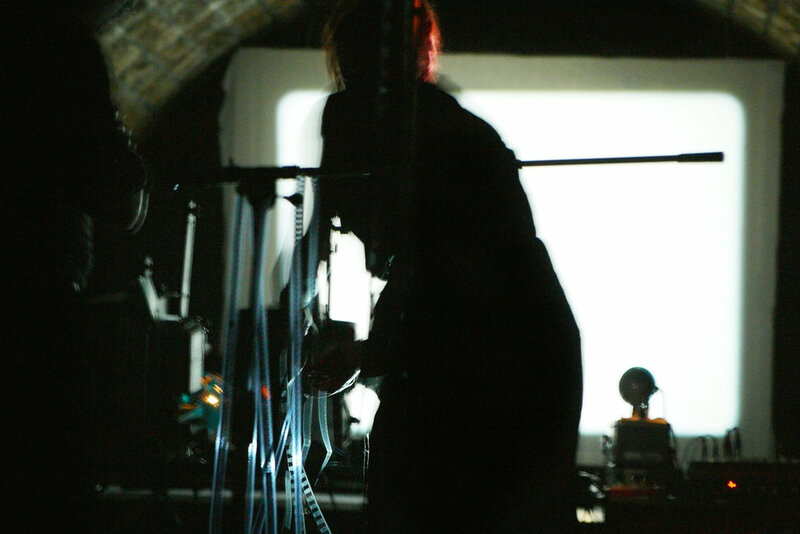 Drawing heavily upon her background in experimental film and expanded cinema, and combining her interests in perceptive vision science and the physiology of sound, Golding’s live work blends discordant sonics and harsh lighting to investigate the social potential of opto-sonics. Golding’s approach to sound includes innovative ‘darkroom compositions’ reminiscent of tape cut-ups that rework the potential of the optical sound system as a site for psychoacoustic radio play; own lathe cut audio recordings inscribed onto silver foil; and live interference and generative feedback systems using amplified lighting and light sensitive audio including repurposed camera flash units, LDR sensors and PA shattering laboratory strobe lights. Golding interjects mixing desk feedback and her own sampled voice cut through a layered impasto of sounds, fused with analogue and digital light combinations forced onto prepared screens. Golding’s participatory installations are audiovisual compositions which spatialise the viewer’s presence via reflection and image capture using generative software sequencing, inviting the viewer to interact with the artwork, the space and with others. Her installations bring into question states of emotion, empathy and intimacy, and reflect upon the multiplicity of contemporary portraiture in the digital age. Golding is also the curator of discursive and sensorial events and festivals Unconscious Archives (LDN) and OtherFilm (AU). Unconscious Archives Festival 2017 featured over 40 artists and was described as “a platform for women defying genres and breaking boundaries, raising the bar of opportunity for female-identifying and transgender artists internationally” (Resident Advisor), and as “a titanic program for an extraordinary festival” (Makery). 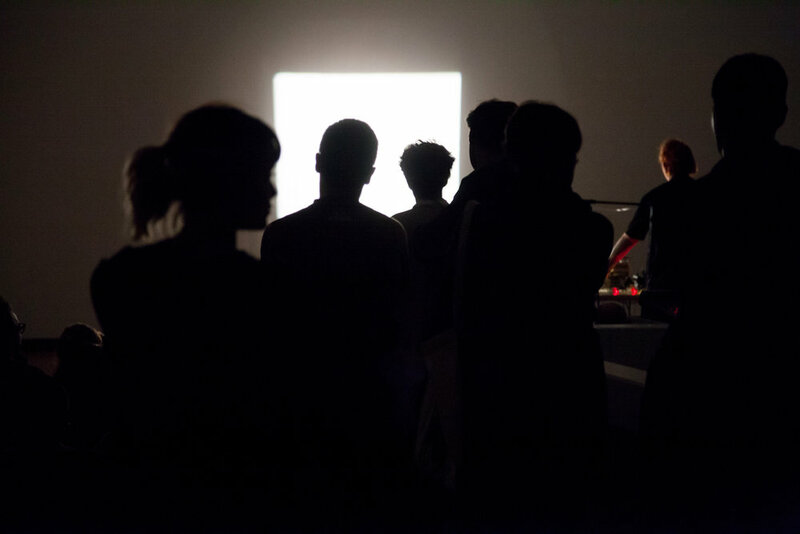 Engaged in critical practice, Golding is interested in the confluences and fluidity of hybrid arts and is editor and author of Parsing Digital: Conversations in digital art by practitioners and curators (Austrian Cultural Forum London, 2018), and Expanded Cinema Unowned: Noise and liveness in the contemporary (San Francisco Cinematheque, 2016). Her practice also draws upon her professional work in archiving and digital imaging for renowned galleries, museums and libraries, invoking concepts relating to data, longevity and integrity. 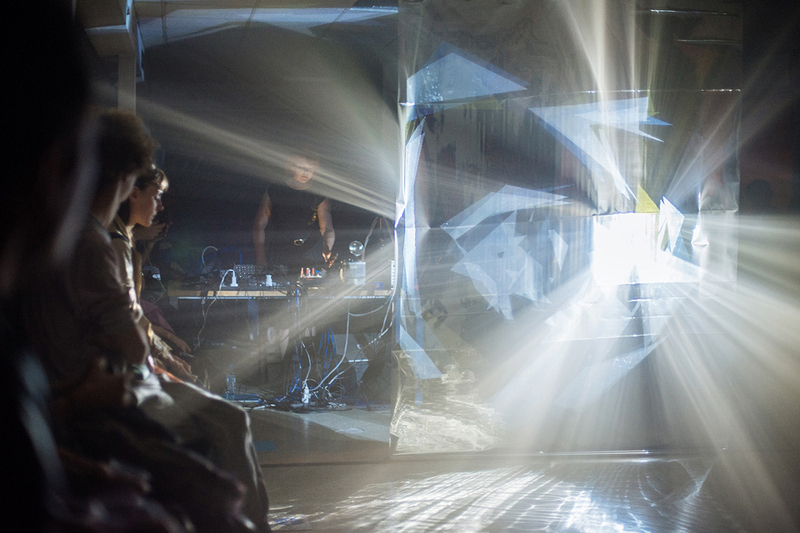 Golding has developed collaborations with Joel Stern (AU) as the punk film/sound duo Abject Leader, and more recently with electronic music producer and creative technologist Spatial (UK) performing immersive light and sound environments as Spatial-Golding. Since 2004 Golding has performed at key institutions and festivals throughout the UK, North and Central America, Europe and Australasia including Tate Britain (UK), Serralves Museum (PT), Digital Culture Centre (MX), Whitstable Biennale (UK), Centro de Arte Dos de Mayo - CAM2 (ES), Sound of Stockholm (SE), Australian Centre For the Moving Image (AU), International Film Festival Rotterdam (NL), Abandon Normal Devices (UK), San Francisco Cinematheque (USA) and Contemporary Art Centre (LT). Golding’s installations have been shown at Institute of Modern Art (AU), Contemporary Art Tasmania (AU) and South London Gallery (UK). Golding’s work has been featured in The Wire magazine (2016), and by publishers including Millennium Film Journal, Tate Modern and Palgrave Macmillan. Golding received an Oram Award 2017 (New BBC Radiophonic Workshop/PRS Foundation) for women innovating in sound and creative technologies.